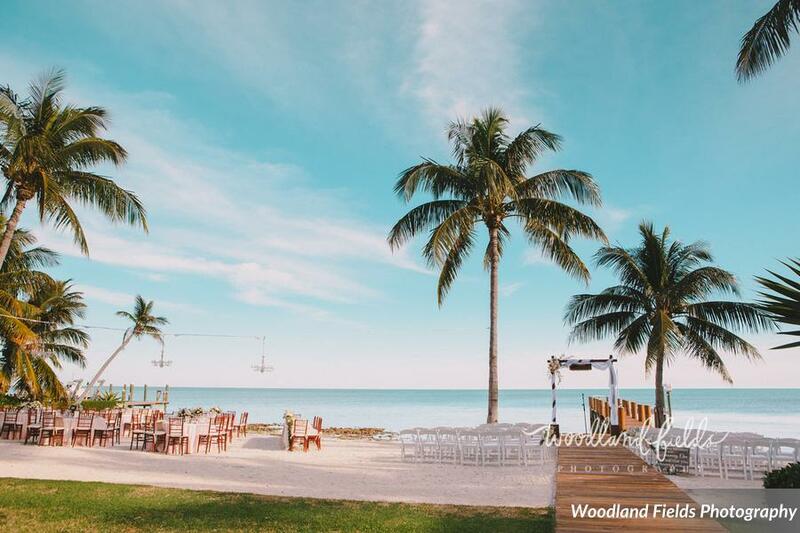 Weddings in the Florida Keys have been growing tremendously because of its unique location and memorable guest experience it offers. It’s that excuse for people to finally go visit the Florida Keys! They make a vacation out of it, and usually always plan to make it down to Key West sometime during the wedding weekend. This flip flop friendly piece of land nestled at the most southern part of Florida is close to an hour drive from Miami airport. There is also an airport in Key West and Marathon. With the many transport services including uber, getting down to the Florida Keys is easier than ever. Driving through you may not see what lays behind the tree lined streets. Sure enough behind every corner is a new experience. You just need to know where to go. Usually arriving on a Friday your guests are greeted with a welcome bag containing the itinerary of the weekends events and a few local treats to start off. Salt scrub and key lime cookies are popular along with all the appropriate hangover remedies like water, Advil and well needed sunscreen. The itinerary will let you know to meet somewhere local for a sunset dinner on the beach. BBQ and locally caught fresh fish would be a popular choice of menu for the welcome dinner. Guests are greeted warmly, and the night begins with family reunions, great food, and a picture perfect sunset. Not a bad start right? The wedding is the next day and the guests would usually have to start getting ready at about 3:00pm – 4:00 pm to make it to the wedding. Poolside in the late morning followed by lunch with family and friends at a local keys restaurant. The keys trolley or limo would pick you up if the wedding is off site and whisk you away to a private boutique beach retreat for the evening. Starting with a welcome cocktail, the sound of a local guitarist or steel drummer is inviting and reminds you that you are far away from home in a destination paradise. Seeing all the familiar faces is the beginning of another great evening. After a great night of celebrating the nuptials everyone would typically meet up the next morning for breakfast and then a couple of excursions. Some may want to take the party bus or private tour to Key West, while others may want to go fishing or snorkeling. One of the more popular group activities are renting boats with captains to take people to the sand bar for our famous sand bar Sunday party. This is an unforgettable Florida Keys experience. Monday morning has come too fast and you are checking out of your hotel and heading back to your home town, what a weekend! You leave knowing you’ve bonded with people you may not see again until the next family reunion and carry those special memories with you forever. 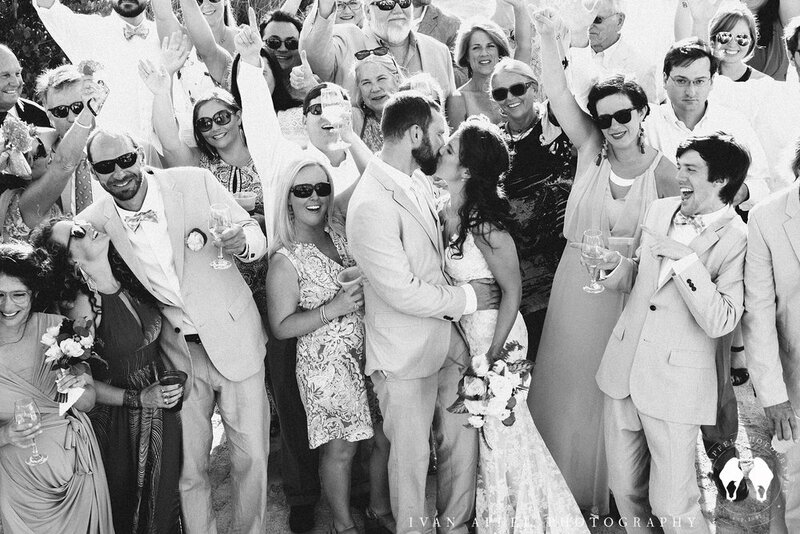 Deciding to have a wedding in the Florida Keys is a special decision because you are placing your self in the hearts and thoughts of everyone you care about. In our experience one of the major priorities for a wedding couple is guest experience. 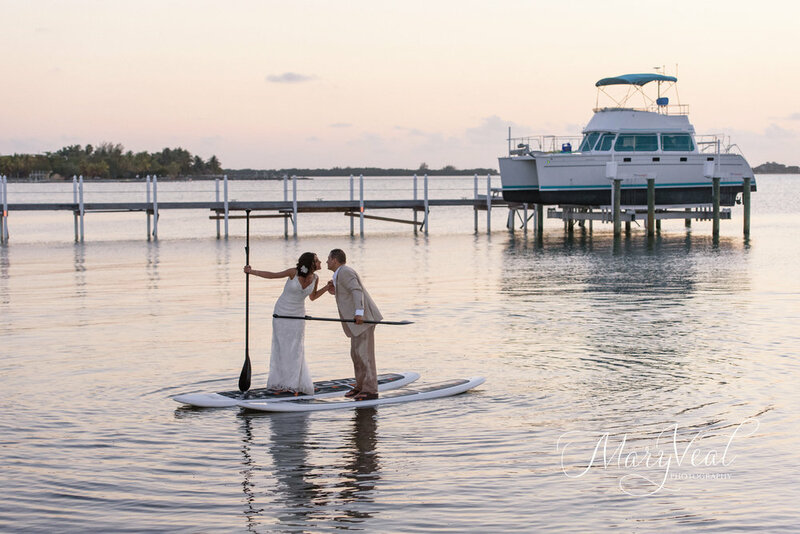 Hosting a wedding in the Florida Keys is not about the size of your cake. Its about family, friends, showing your guests a unique experience and realizing there is already so much planned that your guests will be have allot to do. Couples may feel pressure about showing their guests a good time which is why one of the hotel resorts are such an attractive option. However, finding a private beach house or privately owned resort can create a more unique experience for your guests. You can enjoy a long weekend in a private retreat with your family and friends. You can caterer all events on the property and enjoy the company of your guests for the whole weekend. Or you can choose to breakaway and explore. The weekend goes by so fast that lounging by the pool and enjoying the company of other guests is perfect and needed to recover from all the fun. From the beginning of the booking process to the end of the event, hiring a creative partner to help you build your overall wedding weekend vision is an important part of planning. Having a local advocate while planning from home will only strengthen your wedding design and overall experience. Blue Water Weddings specializes in helping you plan it all. Our purpose is bringing people together to create memories that will last a life time. 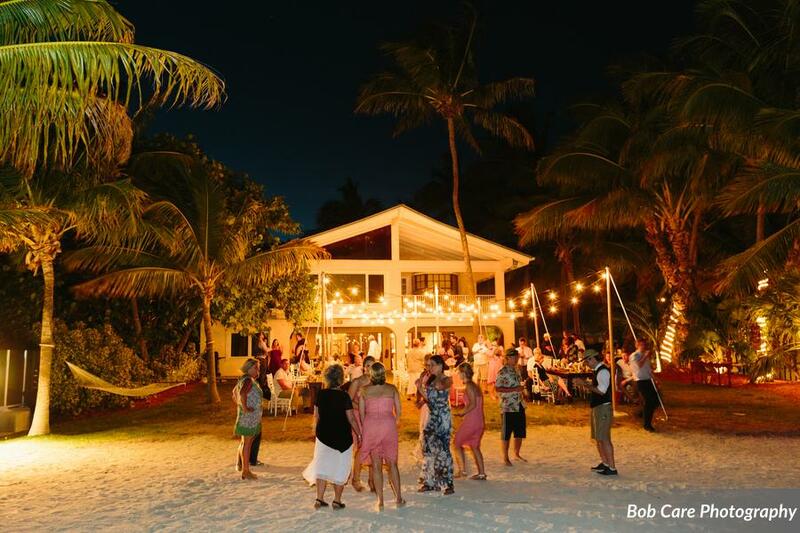 Multiple wedding guest excursions, sand bar parties, welcome dinners, your blissful wedding night, lots of laughs, tons of memories and you can do it all under the stars on the beach at one of the many Florida Keys Wedding Venues. (See our previous blog post for a list of venues) Beach weddings are popular here and even planning an intimate ceremony for two is easy and convenient. Julia and the wedding team are here to help!